I am encouraged by the enlightened attitude of Canada Building Materials towards the bank swallows nesting in their sand and gravel pits. The company’s “live and let live” policy serves as a model for other aggregate operations. Perhaps though, in concert with bank-swallow friendly aggregate policies, we can do other things to support threatened birds. 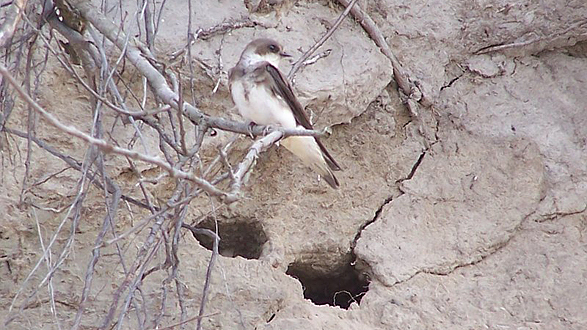 In the United Kingdom, The Royal Society for the Protection of Birds promotes the creation of habitat for bank swallows. Some banks are groomed to the appropriate slope to encourage swallow occupancy, while other banks are drilled into to make appropriate-sized holes. 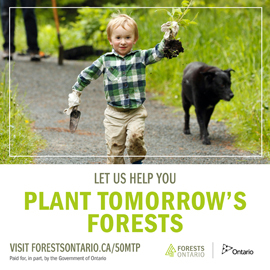 Such projects would appear to have great merit for parks and conservation areas in Ontario. Created nesting sites could become feature attractions not only for swallows, but also for swallow watchers, and would offer wonderful opportunities to educate the public. 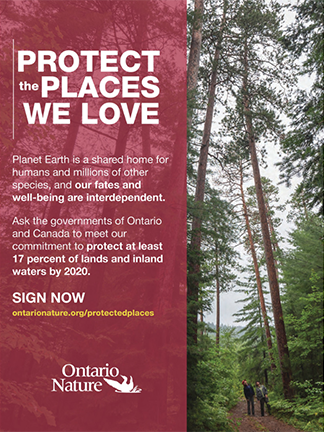 Most importantly, colonies established within parks and other protected areas, would enjoy full protection. There are, of course, many successful precedents for assisting birds through the provision of nesting structures. Purple martin houses, bluebird boxes and osprey platforms come to mind. Recent attempts have been made by Bird Studies Canada and others to help the barn swallow – another declining swallow species – by building structures to counter the loss of old wooden barns. Perhaps the time has come for us to assist the bank swallow too.